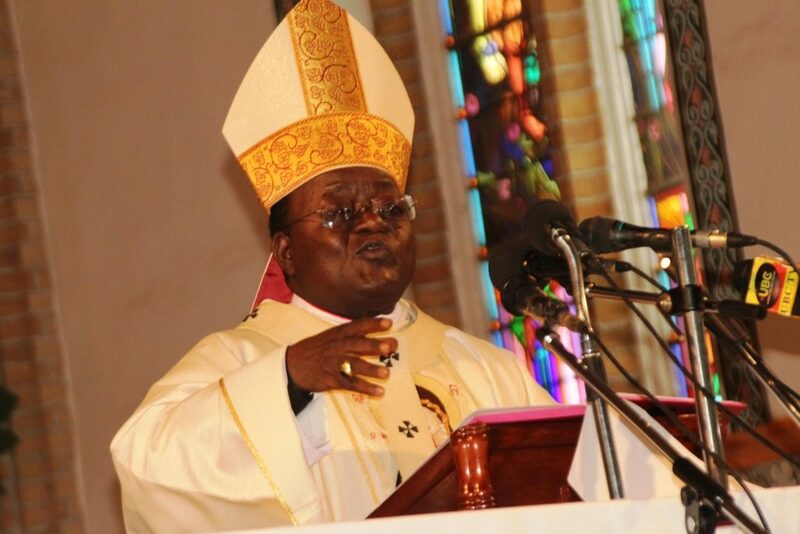 Archbishop Cyprian Kizito Lwanga wants the Ugandan government to introduce church tax which should ensure that tithe is deducted from the people’s salaries. Speaking at Saint Mary’s Cathedral Rubaga, the Archbishop complained that Christians do not remove tithe as they only give what is in their pockets and then complain that a lot of collection is required during mass. The Archbishop is proposing for 10% to be deducted by the Uganda Revenue Authority and have it channeled to the Catholic church. Archbishop Lwanga says that this system will secure the church by giving it enough money to carry out its projects and reduce the number of collections made in church. Citing an example of Germany, which uses the same system, registered Christians, whether Catholics, Protestants or Jews have a church tax (Kirchensteuer) of 10% deducted from their annual income. “In Germany where I have recently been, if an employee is supposed to be getting Sh1 million, the government deducts Shs100,000 and he/she walks away with Shs900,000 and it is working very well,” Archbishop Lwanga said. Through a poll made on Twitter by New Vision Uganda, many Ugandans are opposed to the idea of tithe being deducted by the government. Previous article Is Ruto In The Dark Over State House Developments, Left Alone In 2022 Bid?